Version 9 received an incredible 4.7 star rating on Amazon.com while ranking consistently in the top 10 most read books on Amazon in the Online Business/Home Business categories. The newly revised version 10 is even better! ​The first few copies of this book were sold back in 2002, and it's been read by an estimated one million online business builders since then. As we charge into 2018 the newly updated ideas in this book have never been more relevant. This book and the popular podcast with the same title (Silent Sales Machine Radio) are foundational to tens of thousands of online success stories. Many of the most inspirational and instructional success stories from our community are contained in this most recent update! Do the ideas in this book work? Check the success stories & testimonials - we have thousands. 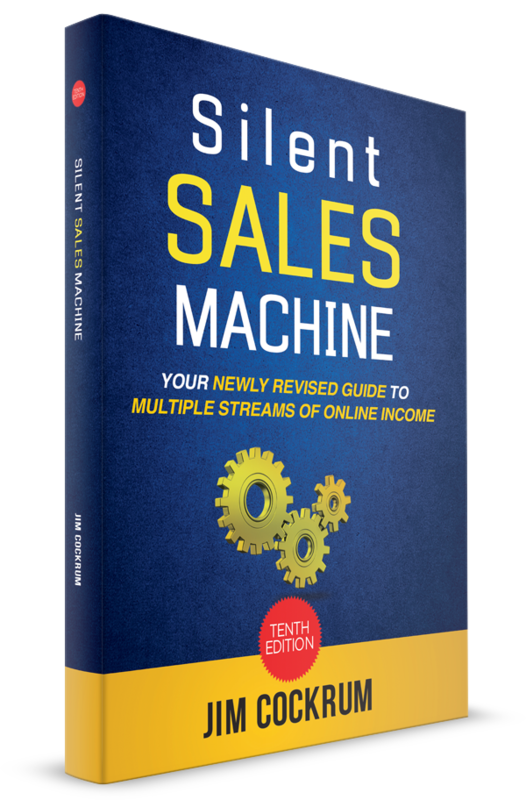 ​Stated simply, Silent Sales Machine has long been the definitive rule book for tens of thousands of those who are seeking to build multiple online streams of income. Regardless of your level of experience or success building an online business, this book will serve you well with it's timeless truths combined with cutting edge specific strategies for online business success. Can I back up these claims? The book is full of real life examples from people in our thriving community. These are people you can meet, talk to and see for yourself. We have over 1,000 documented coaching success stories - all from this one book. Is this a book about selling physical products on Amazon or other sites? Yes, that is certainly a core strategy we dive into deeply in this book, and we have a community of thousands of successful Amazon sellers as evidence that these strategies work incredibly well, but we don't stop there. We love to help our students establish multiple income streams and true income security! If you are looking to start an Amazon business, this book is a must read. What if you are brand new to making money and building a business online? Wouldn’t it be nice if someone you trusted gave you a detailed list of what business ideas WORK online and which ones sound nice, but are actually dead ends? That's a big part of this book! Those who are new to online business love this book as do those with moderate levels of success who are looking to expand rapidly. I hope you'll grab a copy of this book sooner rather than later. It will help you avoid pitfalls, and put you on the road to massive success with your own online income streams. "We’ve had over 2.5 million patterns downloaded from our Shopify site and average 50,000 orders a month. It all started by reading Silent Sales Machine… much appreciated." "11 years ago I was still an undergraduate studying at SMU. I had tried my hand at various businesses (Event management, car grooming, entrepreneurship portal, etc. ), but failed miserably. "Silent Sales Machine" by Jim Cockrum was the 1st product that I bought online and it changed my life. I applied the strategies I learned inside and began earning a decent $50-80 profit a day while still studying. It eventually lead to the multi-million dollar internet marketing business I now run." "Jim Cockrum is THE REASON that I became a success online." "The book is outstanding, so true, and to the point. I just wish I had found it three years ago when I first started trying to make money online. Like many others, I have followed the herd." "I read the 2 free chapters of Silent Sales Machine and felt like you do when you go to church and the preacher is “reading your mail”. I felt convicted by your words, and realized that maybe I haven’t been the cause of my failures after all. Refreshing. All of that to say, I learned of you in the WF, raving that you are the most reputable, trustworthy, and real internet marketer out there. 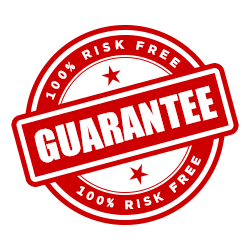 I’ve researched you over the last few days, read your blogs, listened to audio and video, and looked at your programs, and from everything I’ve seen those rave reviews were 100% correct." "I have followed Jim Cockrum for a while, and been a student of his coaching program. I will tell you that his ideas and guidance have literally changed my life at a time that I urgently needed a change due to unfortunate circumstances. He definitely knows his stuff, and is one of the few people I trust when it comes to ideas and guidance for my business. I can tell you his coaching program alone has been life changing and done magic for my business." "Three years ago you recommended an ebook course. I took it and now that little 21 page book makes me 3-4 K a yr. Next was your PEC Course… Sales each yr. are over $100K now. Then ProvenAmazonCourse.com …Christmas last year was awesome and this year will be even better. Next came… LiquidationInvestmentTraining.com. I am now able to source inventory without seeing or touching the product. Just wait for deposits from Amazon…"
"It occurred to me today that I get a lot of email from dozens of online marketers everyday. There’s so many that I don’t even know how I got on their lists. I suppose I opted in to some promotion here and there. There’s one email I get periodically that always stands out from the rest. One reason they stand out is because I don’t receive them everyday from this person. Some marketers send me email everyday. I delete 99% of them. The only reason I allow them to keep coming to my inbox is to see which subject lines catch my attention. The one guy who’s email I open without fail is Jim Cockrum. I’ve been getting emails from Jim for about six years now. I’ve opened every single one without an ounce of disappointment. I always get some kind of advice or marketing tip for free that helps me in some way or another. I’ve always liked ‘FREE’ and so it took me several years before buying one of Jim’s products. When I finally bought a product, I paid several thousand dollars to become a coaching student of Jim’s. It’s been worth every penny and that one investment will pay off for the rest of my life. I didn’t just buy coaching from Jim, but I put myself into alignment with some amazing possibilities to do some great things with someone who is in alignment with a calling greater than himself. I read a Facebook post today that Jim’s wife posted on his wall. She praised him for the path he is on and for the passion he has for helping people make a better life for themselves than they knew was possible. Jim shows people possibilities. Possibilities make life radiant." "I bought this without even looking at the free video, because as you have said, I am one of the people that trust you. I have read your books, (from 101freemarketing.com) and the most recent SilentSalesMachine in pdf that your sites are based off of and love them. We have made tremendous leaps and bounds by implementing just a few of your ideas. Just the other day we had our first $1000 day on Amazon using some of the techniques we have recently learned, we were SO excited we could almost explode! We thank the stars that we have found a group of people like you! I cant wait to plow through this to see any new tips and tricks I can implement. My next goal is to actually get a newsletter together. I am in the planning stages right now. THANKS!" "Jim, Congratulations on making a true, genuine, and creative contribution to the art of selling online. ALL eBayers should read (The Silent Sales Machine)…"
"Jim, I’m sure you get 10,000 e-mails like this per day, but I just wanted to say – THANK YOU!!!  Thanks for providing an awesome e-book – The Silent Sales Machine and Thanks for sending useful information in your newsletter. I am very grateful. …please let me recommend to you the BEST FREE eBay Success newsletter!" "It means the world to me that you’re willing to help out us “little guys” on our way to Internet success. Just wanted to let you know that…"
"I have read your books (SilentSalesMachine, 101FreeMarketing.com) and am a member of both of your groups (OfflineBiz.com, MySilentTeam.com). You have helped me so far more than I can express." "I purchased your book a while back and found your information brilliant! After reading your book I was blown away at everything I learned. I honestly learned some awesome ways to quickly and easily increase my profits when selling on eBay.In my eyes you are “The God Father” of teaching people how to make money on eBay." "…thanks to you and your great “Silent Sales Machine” book which inspired me I have been able to build myself up to a top-rated bronze Powerseller on eBay over the past 12 months. I therefore AM BACK because you have made a big difference in my life and that of my family with this recent eBay success in these hard economic times. I believe and trust in what you do and after having looked around the net for a second income source to supplement and backup my eBay work i am convinced Amazon selling IS the (next) way to go and your course looks like THE BEST out there! Thanks again for all you do and for all you have done for me and my family." "I wish I had purchased "The Silent Sales Machine" months ago. I’ve read a lot of ebooks in my day, and I can honestly say after reading the first page of yours, I printed out the rest so I could read every word carefully. Thank you for the fantastic ideas!" "Great book with helpful information on ways not to get suckered in the world of scams. Thought provoking ideas on how to systematically go about setting up revenue streams that allow you to have the flexibility and income I desire." "I purchased your book and have read it and re-read it in whole and in part 3 or 4 times. Thanks for the great insights and info. I've been studying and researching internet marketing from many online gurus but your book is the one source that I can truly say has inspired me to begin!" "I really enjoyed [the 2 free chapters] especially Where Not To Start. I wish I would have read that chapter a few years ago, because I have tried just about everyone of the things you said don’t work. Unfortunately I found that out the hard way. Those two chapters certainly motivated me to get the entire transcript of your book. Thank you for all you provide to budding internet marketers." "Jim, I just want to say that EVERYTHING that I’ve purchased from you WORKS. Your listbuildingclass.com course, the Silent Sales Machine book, the ProvenAmazonCourse.com course and the ‘My Silent Team’ site is beyond packed with valuable information, worth way more than the cost! I thank God for your wisdom & knowledge! You are awesome! God Bless you Jim!" "Regardless of whether or not you purchase this book I do recommend you sign up for his free newsletter. This is one of the few newsletters out there that is heavy on tips, techniques and sales successes and short on sales pitches." "The book 'Silent Sales Machine”'got me started into my FBA business and have enrolled in your ProvenAmazonCourse.com program. This has help me a lot in my FBA business up until today.Thanks for your book and your PAC!" "My online business is now generating as much as $200,000 each month and this figure is rising almost daily. Without the help of Jim Cockrum none of this would have happened. Jim was one of only 3 mentors who I turned to when I was struggling to get my business started, and his help and advice has literally been worth millions of dollars to my business. Right now my business has 9,238 registered affiliates, but the SECOND person to ever promote one of my products was Jim. I owe Jim a lot which is why I’m always singing his praises to anyone who will listen!!" "hi there, I bought your ebook, and I must tell you that I'm very glad to spend my money with that product, it is really excellent." "The Silent Sales Machine is where I picked up all my secrets and enabled me to soar past 3,000 feedback on eBay – that’s the highest in the whole of the U.K.!" - Mark Eastwood – U.K. I have just listened to your book 101 Free Marketing and I have ordered the printed version for easy reference on a day to day basis. Yesterday, I also downloaded your silent sales machine book and ordered the audio version. I can’t wait to read this book. I “discovered” you on the net a short while ago and I must say that, after listening to 101 ways, I soon realized what a genuine, non pushy author and entrepreneur you are. It is hard to find honest people like you on the net. You do come across with the right waves lengths which the majority of people can easily pick up and understand." "Dear Jim, When I got your book I saw that I could use Ebay to kick start a ______ business. So for the past year I have been selling home-made cd’s and books about ________. I also used your ideas to follow up and create a big mailing list. I am now working on another book. My earnings from Ebay have ranged from $1000 to $2725 a month VERY PART-TIME. There is indeed money to be made by the average person on eBay. Thanks for all you’ve done. Millard Grubb Jim Cockrum’s ideas are simply brilliant, but not complicated." "It has been 10 years in the making but today I left my J.O.B. and joined the world of the self-employed! Thanks go out to Jim and Nathan (Jim’s Coaching director) for all of your leadership and support. My husband has been buying and selling on Ebay for 10 years and branched out to Amazon FBA almost a year a go. He signed up for coaching with Jim and Nathan and learned a lot in a very short amount of time. We are very excited to now have more time to work on the LIT side of our business. My day job was really getting in the way :-) 2012 has been our best (by far!) year ever and we are anxious to see what we can do in the 4th quarter! With both of us working full time the sky is the limit!" "…the updated version of Silent Sales Machine is awesome. There’s amazing stuff in there. Not only does it have all the “ready to go” tips and techniques, but it also gets your creative juices going and helps you to think “outside the box”. Great job!" "Your book The Silent Sales Machine is probably one of the most comprehensive documents on the true power of Ebay as a tool. You should charge $297 for the use of this information…as I have used it to make over $5000.00 in a very short time." "…thank you for the audio version of your SilentSalesMachine.com ebook. I’ve burned it on CDs and listening to them everyday while commuting since the last three weeks. What a “Brain Ride”! So many ideas are born from listening to your experience and ideas. I’m actually starting to enjoy commuting because I have time to listen to your audio book. You’re a great inspiration to me as I’m a father and a husband looking forward to provide them with the life they deserve and be there for them as much as I want to and still be a successful entrepreneur." 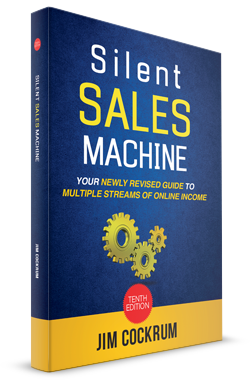 "The Silent Sales Machine this is an excellent book with some amazing ideas. You’ll never look at eBay the same way after reading it! I personally use techniques from this book, and would recommend it to anyone who wants to make extra money on eBay." "…a resource which helped me earn even more income through ebay is 'The Silent Sales Machine' …you must check this out!" "This book definitely earned my 5 star rating. Not only was it inexpensive, but there is so much “value” in this book for “newbies” and “experts” alike. Jim is obviously an expert in this field who is wiling to provide quality content and deliver it with his trademark honesty and integrity. I believe that having read this book will result in my business becoming highly profitable and automated. Thank you Jim"
"I spent an hour listening to Jim Cockrum talking about a business model that if you followed his direction and applied yourself, anywhere from an extra $500 to $1000+ dollars could be made per month. The business model currently brings in $4,000+ per month and has constantly grown into a sustainable and growing business." "This book is a valuable resource for anyone who is serious about wanting to develop an online business. I feel as though I just had a cup of coffee with the author who shared some compelling and honest insights on how to proceed. All in all it makes for a very thought provoking read. The reader ends up faced with several options to choose from. This is not a cookie cutter approach to business, instead it is a relevant, honest, creative approach to solving the challenge of making a serious living doing Internet marketing." "I find it difficult to read it all because nearly every paragraph rings with such truth and information that I am stunned, amused, exhilarated, and distracted. You’ve written a book that had a beginning, but, wonderfully, has no end. It’s genuine, it’s informative, it laid out my past failures and highlighted the people who lured me into alluring trap after honeyed snare. I really thought I was reading my biography of ineptitude. Jim, there are only two words properly expressive of what I have learned, am learning and will continue to learn from you and yours:"
"Of all the routes I’ve taken, mailing lists I’ve been on, and people I’ve followed, I seem to connect most with your approach." "Hi Jim, I purchased the ProvenAmazonCourse.com course last weekend and enjoy the total content, This far exceeded my expectations. I have read the entire Silent Sales Machine book, I only wish i had found your advice two years ago, for I would be much farther along then I am after my first two years in the on line business. Wonderful useful information. I need to make up ground, I need to grow monthly income, and turn my past efforts into profits. Glad to start learning new skills… Thank you for being the real deal." 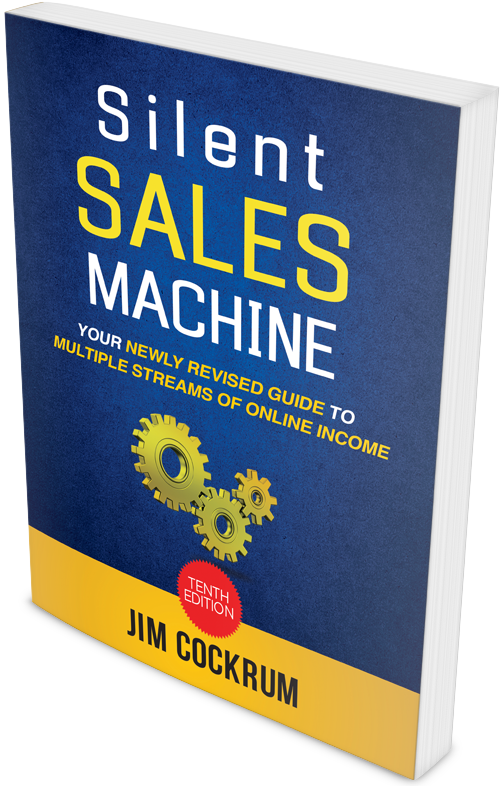 "I would recommend Jim’s books to anyone…"
"Dear Jim, I bought Silent Sales Machine some months ago and was blown away by its content! I really got my money’s worth! You leave no stone unturned! Even a newbie like me can understand it. Of all the products I have bought on the Internet, this is my most prized and valued possession. Good Luck in your continued success!" "…by the way, Silent Sales Machine, is far and away the best starting point for someone who is lost and jumping around the internet trying to make money." "Just a thank you note. After 6 years of chasing many ‘hot shot, self proclaimed gurus’, and wasting many $$$, I am so relieved to know of Jim Cockrum and his realistic approach to all of this. I just finished the latest edition of SilentSalesMachine. I must say I have gotten a great lift from reading the book and have resolved to push on to success. To me, the most gripping part of the whole thing was page 125. The list of possible excuses, mirrored my life almost exactly. I CAN DO IT!! (if I live long enough)." "(an idea from) this $5 book that has made me $20,000+ in the last two years." "Thought I’d send you a quick note. First, your newly revised book is fantastic… there is a lot more “meat and potatoes” info in it. You have really expanded it a lot. I keep reading and re-reading and I love it." "Excellent…no, AMAZING book, Jim–thank you so much! After applying these ideas and principles, I couldn’t believe the impact on my sales! My business peers have no idea how I do it!" "Well one thing is for sure, you really do over deliver…"
"All I want to do right now is say THANK YOU! I am in the process of reading and studying your book “The Silent Sales Machine…”. As I read , I realize one thing, everything I have bought in the past is junk! There are quite a few wannabees trying to copy you but they haven’t even came close to the information you have given me and I haven’t even gone one-quarter into your book. As of today the other guys are trashed. Sorry for my rambling on and on. Thank You for this VALUABLE book." "Hi Jim, I ordered your book several days ago. I am really enjoying the information in it. When I ordered it I began to think “just another 9 to 10 page booklet”. But to my surprise, the book is packed full , I mean FULL of information. I will be getting in touch with you after I finish the book!" "…I own both the “Silent Sales Machine” and “Auction Traffic Cash” and have found both the books and your free newsletter the most informative of all I’ve seen. (editor note: The concepts from “Auction Traffic Cash are now integrated into the latest version of ‘Silent Sales Machine’. They used to be separate books.)" "I recently discovered the Silent Sales Machine…It’s been a real eye-opener for me!"